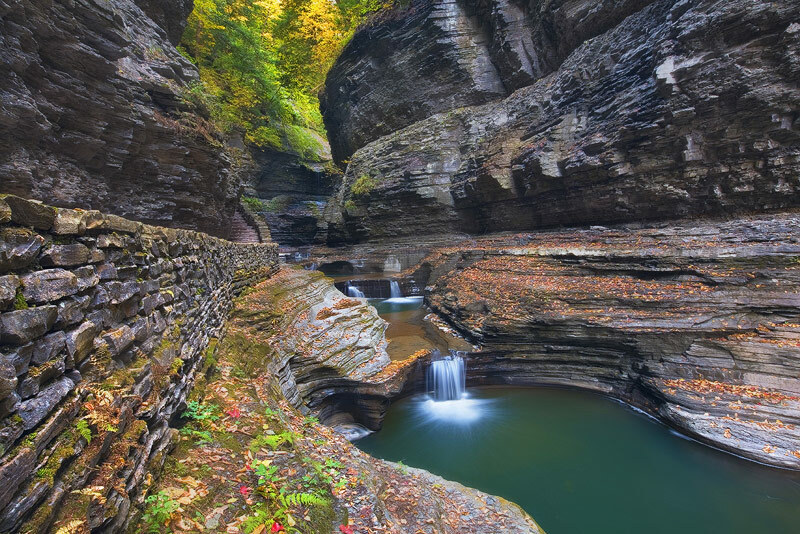 Lines, angles, and a profusion of color are some of the reasons why Watkins Glen is a must see location for those traveling in the North East. Here I used the side of the trail as a leading line while the foliage draws the viewers eye through the scene. Photo © copyright by Michael Greene.